Home Loan & Investment Bank is a highly reputed financial institution offering full service commercial banking, business banking, personal banking, automobile financing, small business lending, and even mortgage services. They are regulated under federal Laws. The company is insured under FDIC and is also dedicated to help customers with every financial requirement with the help of expert bank representatives. They offer professional guidance and personal attention in order to ensure accurate and timely transaction of all your deals. The banking organization has also acquired the membership of Allpoint Network and offer exclusive access to more than 40,000 ATM's throughout the nation. 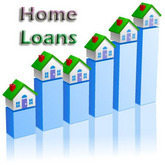 There are currently 0 consumer reviews about Home Loan & Investment Bank available. Share your review. Please take a note that you are about to post a public review about Home Loan & Investment Bank corporate office on CorporateOffice.com. This review will be public, so please do not post any of your personal information on this website. If you would like to contact the corporate offices of Home Loan & Investment Bank, please use their contact information such as their phone number, website, and address listed above to contact them. However, sometimes staff from Home Loan & Investment Bank headquarters do read the reviews on this website.